While delayed for a few months due to the shuttering of Telltale Games last year, the third episode of Telltale’s The Walking Dead is now available, courtesy of Skybound Entertainment. While I thought that that the previous episode was weaker compared to the season premiere, I did enjoy what Suffer the Children did right. The game’s third episode, Broken Toys, arguably marks the season’s highest point as it has an excellent mix of action, drama, and character development that’s comparable to the series’ first season. Broken Toys begins on a downer as the remaining kids from Ericson’s School for Troubled Youth scramble to rebuild and regroup from the Delta’s attack which caused the death of Mitch as well as the capture of Omar, Aasim, and either Louis or Violet. In the meantime, AJ and Clementine interrogate Abel, and through the grisly sequence of events, find out the whereabouts of the boat that Delta occupies with Lilly leading the opposing group. 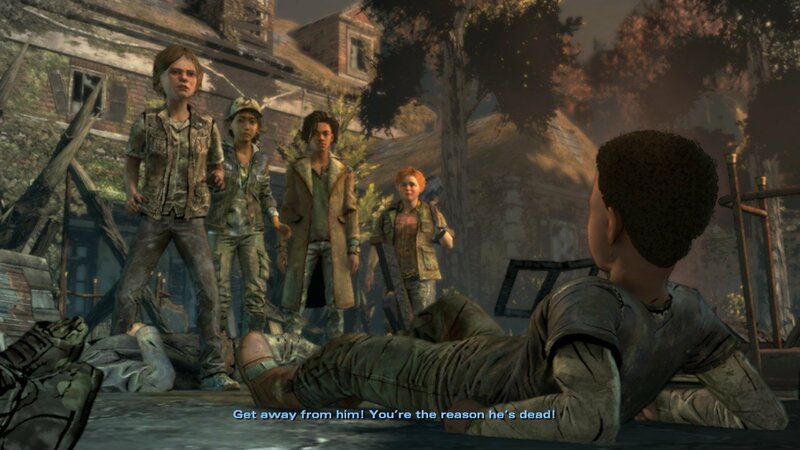 Meanwhile, Clementine and the others attempt to find a way to rescue their friends while sabotaging the enemy group. James, the ex-Whisperer who has a desire to coexist with the walkers, assists them. Throughout the episode, the stakes are higher than ever, with shootouts, stealth, and stressful encounters present within the events of the episode, and some will not make it out alive. Like the rest of the episodes in the season, you control Clementine as she leads the way in order to advance the story. Throughout the episode, you’ll be faced with making different choices that will affect the current narrative, with some choices drastically changing your relationships with some characters. While the these moments only offer the illusion of choice, the narrative is convincing enough that I was engaged with the game without it feeling like I was heading down a linear path. In a brief example, the Abel interrogation scene will always end with him dying, but the way the dialogue flowed, I felt frightened and yet emboldened to make a choice that I knew would influence how AJ would react. In addition to story choices, there are also action sequences where you have to utilize a mix of quick time events and stealth to continue. While these sections aren’t too difficult, they are relatively more challenging than anything so far in the series, especially with stealth sections peppered in. It’s a nice variety of story and action that makes Broken Toys stand out from Done Running or Suffer the Children. It seems that my complaint about some of the minor characters being underdeveloped seems to be founded, as the two I mentioned in my last review are out of the picture entirely until the very end. However, due to the slimming of the supporting cast, we’re given more screen-time with the remaining members; of note are Ruby and Willy, the latter who goes through a redemptive arc as he’s initially upset at Tenn due to the latter’s folly getting Mitch killed last episode. These character interaction moments feel genuine and match the moments in the first episode rather than the second, in that they are appropriately paced rather than rushed. I enjoyed the group’s little party (which parallels the card games of the first two episodes) as they act as respites from the intense ending sequences, and the mood during this scene is simultaneously awkward and dramatic, which nails the atmosphere of trying to have fun in the middle of an apocalypse. The narrative payoff is executed well here too, as characters who were briefly referenced in prior episodes finally make their appearance, and we also get to take a closer look at Lilly’s Delta team. This episode does a lot with newer character introductions while also building on a select cast of supporting characters, and it works extremely well. There’s even a dream scene with a familiar face that fans will adore, even if it’s only for a brief moment. 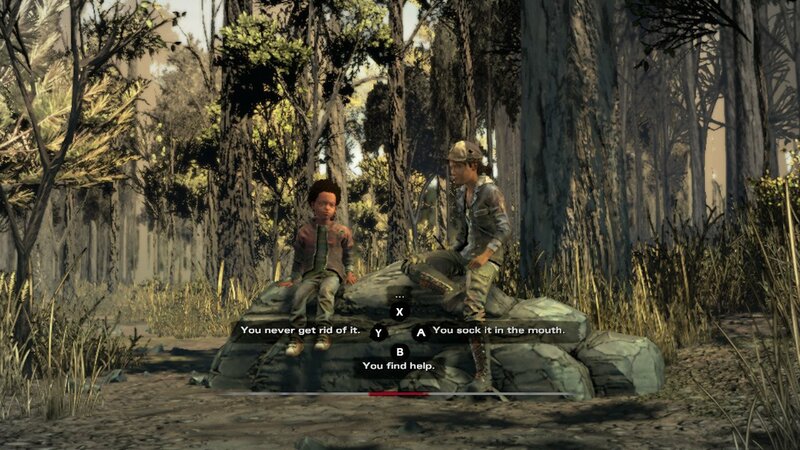 The interactions between AJ and Clementine are the strong point this season, and it’s these moments where the game truly shines. From the Clementine’s visceral fear that AJ might like violence during Abel’s interrogation to the quieter conversations about the trauma that both of them have, I feel like this episode really nails the dynamic of a mentor and a mentee. 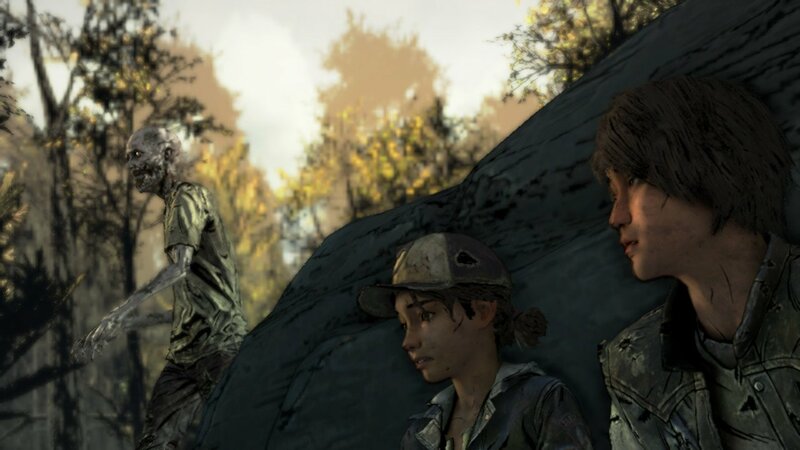 One choice at the very end will have lasting repercussions on AJ’s psyche, and it must be noted that the kid’s not much older than Clementine was in the beginning, and he’s already killed a man in episode 1. 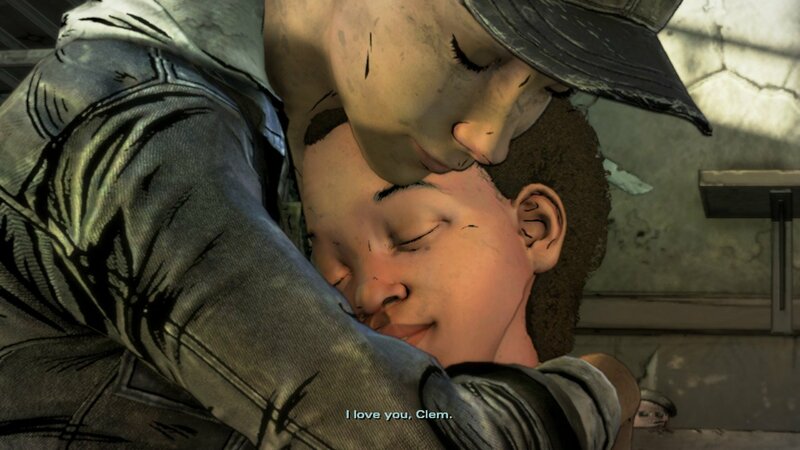 It’s in the third episode where I really felt like Clementine had to protect AJ, and her protective instincts showed here. Broken Toys is a wonderful third episode for Telltale’s The Walking Dead: The Final Season, and is perhaps the best entry for the season so far. With a great mix of new and returning appearances, varied action sequences, and a stronger emphasis between the dynamic of AJ and Clementine, this is a great couple of hours before the final installment.